Fike suppression systems are designed to detect and chemically suppress an explosion in its earliest stages-before an explosion can cause a disaster or become catastrophic. Additionally, a Fike suppression system reduces the propagation of any flames to other process equipment. Patented container and nozzle designs minimize flow restrictions, helping extinguish the explosion faster and minimizing pressure build-up inside the process equipment. 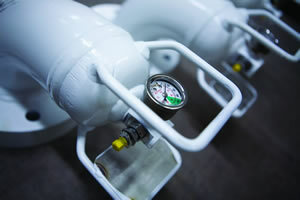 The suppression container has no moving parts or wear points, increasing the reliability of your Fike suppression system.